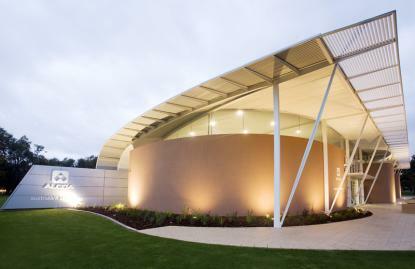 The Peel Community Development Group is a not for profit organisation that works to support and strengthen a positive and sustainable community development process in the Peel region, whilst advocating for and supporting the work of the community sector. The PCDG is represented by a voluntary board of management consisting of committed individuals involved in community development with a mix of professionals from local government, service providers, state government agencies, consultants, researchers and community advocates. The Peel Says No To Violence (PSNTV) project aims to better understand the prevalence of family and domestic violence (FDV) in the region, identify how our community can better support women and children experiencing FDV, raise awareness of services and support available, and create a movement of people in the wider community to actively support the Peel Says No To Violence message. The first phase of our project is now complete. This involved in-depth research into FDV in the Peel region. We conducted interviews and focus groups with a wide range of women who have experienced FDV, looked at other relevant research and literature, and surveyed all of the support service providers across the Peel to understand the extent of their FDV services and the challenges they face in supporting women and children in this region. Services in the region do not have the capacity to meet existing demand, with particular gaps identified in refuge/accommodation services, children/youth support related to FDV and in regional areas outside Mandurah. There is a role for a wide range of people and organisations to support women and children experiencing FDV, with the research highlighting the important role for family, friends, non-specialist services, police and volunteer groups in providing information and assistance. There is a need for improved FDV literacy, not just awareness. For women themselves, services and community members - there is a need to develop a deeper understanding of the power and control dynamic and how this impacts on family violence. It is important to also understand and acknowledge how women are able to offer resistance to violence and the reasons why they stay, leave and return to relationships. Attendees were impressed at the quality and depth of the research which really tells the story of FDV in the region from both a statistical and humanistic approach. There is certainly a lot to be learnt from the womens' stories collected during the research, including the varied faces of FDV. 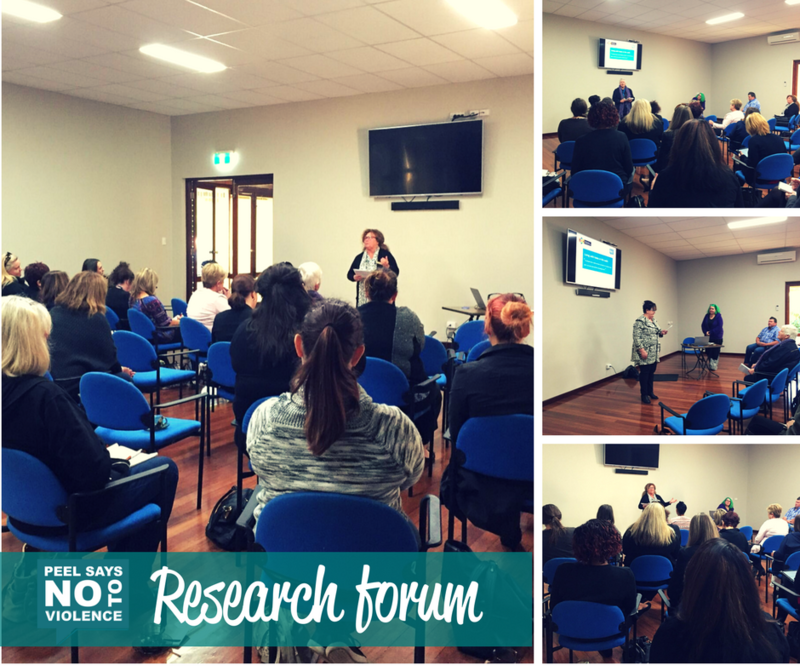 If you would like a copy of the research report, please email Leah at peelsaysno@gmail.com . Sign up to our mailing list so we can keep you posted on the project's progress - click HERE. PCDG Board Member Anne Sinclair participated in a Peel Regional Leaders Forum (PRLF) meeting with Alcoa to discuss Alcoa’s ongoing involvement in the region. Alcoa made a presentation outlining their current operations and future plans, and estimates that they have approximately 2000 employees in Peel. PRLF and Alcoa re-committed to ongoing and regular communication. 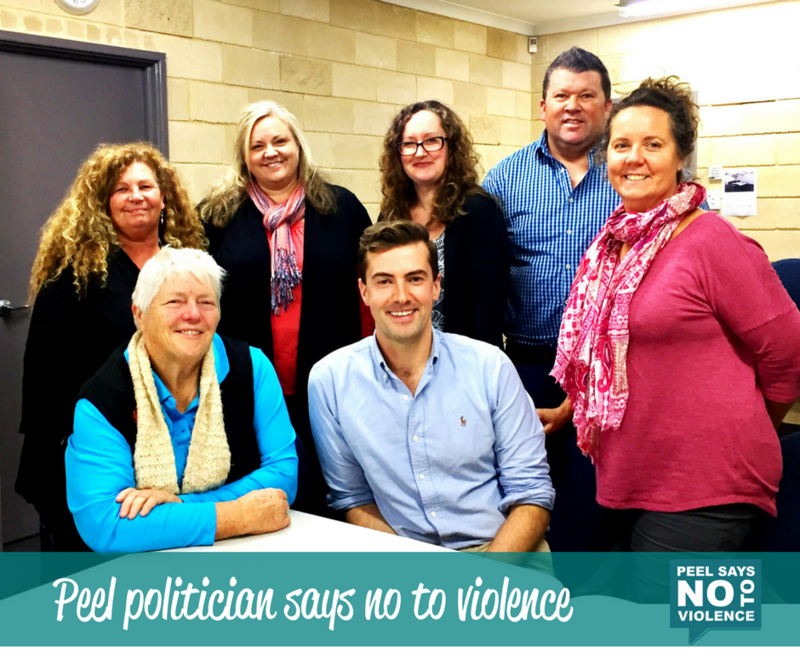 Dawesville MP, Zak Kirkup, recently met with members of the PSNTV management committee at Lotteries House in Mandurah to lend his support for the Peel Says No To Violence project. The meeting was an opportunity to share the aims and achievements of the PSNTV with Zak, and provide him with some detailed insight into the extent and depth of family and domestic violence in the Peel region. Encouragingly, the PSNTV project is gaining momentum. By using the findings of our on-ground research, we are working towards the development of a regional alliance which will offer a way for all community members – either as individuals or organisations – to stand up against violence in our region. Zak generously offered in-kind support to our project and we are appreciative of his time and commitment to PSNTV. Be Westbrook (Peel Youth Services), Paddi Creevey (PSNTV Chair), Liz Storr (PCDG Chair), Zak Kirkup MP Member for Dawesville, Nicci Lambert (Allambee Counselling), Craig Edmonds (PSNTV), Justine Hansen (PSNTV).